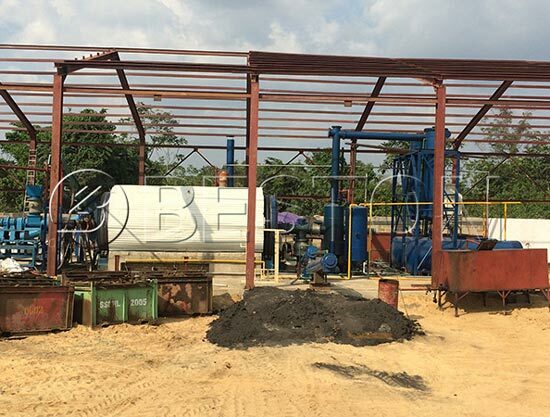 At present, recycling plastic into pyrolysis oil is widely recognized as a good way to solve the problems of plastics pollution and energy shortage. 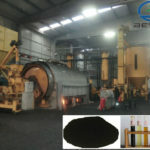 That’s because the pyrolysis oil from plastic waste can be widely used as fuel oil in industries such as steel and iron and boiler factories, ceramics, power or chemical industries etc, and they can be also refined into diesel or gasoline by waste oil distillation plant. And the diesel fuel can be used in the low speed engine, such as digging machine, road roller, loading machine etc. 1. First, waste plastic needs to be broken into small pieces by the crusher. If the water percentage of plastics is more than 15%, then they need to be dried by a dryer. Through the automatic feeding device, the pre-treated plastics are transported to the reactor. 2. Heating the reactor by using fuel materials, such as coal, charcoal, fuel gas, wood etc. The reactor will be slowly heated, when the temperature reaches around 250 degrees, the oil gas will be produced. 3. A part of oil gas will go to the condensing system to be liquid oil. The gas which can not be liquefied under normal pressure will go back to combustion system. It can replace the fuel material to heat the reactor, which will save energy for the whole plastic pyrolysis process. 4. After finishing oil production, the temperature of plastic pyrolysis reactor will be down. 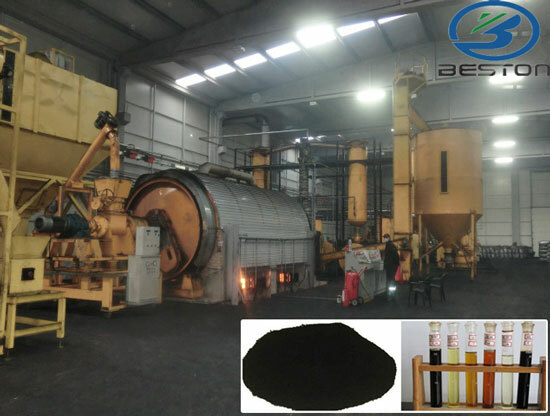 At the same time, the carbon black will be discharged automatically. 5. Lastly, the smoke produced from reactor can achieve national emission standard after being processed by the dedusting system. 1. Polyvinyl chloride PVC, polyethylene: PE (such as films, bottles, electrical insulating materials, handbags, pipes, drums, bottles/calcium bottles, daily necessities, etc.) pure plastic has oil yield is about 95%. 2. Auto feeding and carbon/steel discharging system. 3. Totally sealed to forbidden gas leaks out. 4. 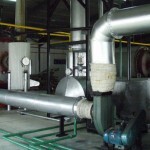 Rotary running that ensure the heating is efficient and energy saving. 5. High efficient tubular condensing system. 6. Special design of dedusting system which can enable the released gas pollution-free. 7. 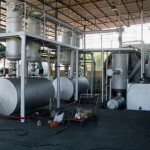 Unique catalyzer and condensers which can increase oil yield 5% and improve oil quality. 8. Our products have passed CE,ISO,SGS certificates. 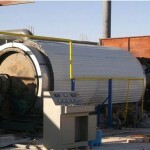 If you want to get the pyrolysis oil from plastic waste pyrolysis machine, please don’t hesitate to contact us. As the professional pyrolysis plants manufacturer, we mainly provide 4 different types of machines to meet the different needs of customers. They are BLJ-06, BLJ-10, BLL-16 and BLL-20. And their handling capacities range from 6 to 24 ton per day. Please view their detailed parameters and get a free quote now.